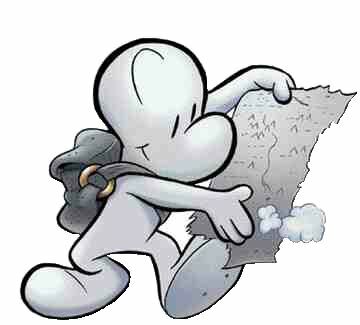 If you haven’t already heard, Jeff Smith’s BONE is getting the big screen treatment from Warner Bros. Reports from around the Intardwebz have the studio prepping the comic series into a three movie trilogy. Smith spoke to the Los Angeles Times Hero Complex and said he’s seen some early work on the computer animated 3-D movie. “Fone Bone was falling in the water and going through cliffs and canyons. The dragon moved in from off camera in the shadows with smoke around him, all in 3-D. It was pretty mind-blowing,” said Smith, who estimates that the earliest a “Bone” film would be done is two years from now. If the studio really is moving ahead with this as a three movie extravaganza, it sounds like they’ll be able to get most of the tale told – though it is interesting that the Hero Complex story says two scripts have been offered up and rejected, with a third on the way. Previous ArticleMOVIE: Live action Afro Samurai?